As you may have noticed, this little corner of the internet hasn't seen a lot of activity lately. The bad news is that I've decided to wind this blog down. The good news is that I've got a new home on the internet! You can check out my latest writing here. I've been writing one story every month or so, and I'd love to know what you think. I started this project as a graduate student a decade ago. At the time, I wanted an outlet to share interesting mathematical ideas with an audience that might not otherwise be exposed to them. Pop culture seemed like a natural way to explore these ideas for a general audience. However, as time has passed, I've found myself wanting to write about mathematics in ways that aren't always tied to popular culture. So the theme of this blog has become a little restrictive. Hello friends! In case you haven't heard the news, I released my first book this month. You can order it on Amazon here. The book started as basically an extension of this blog, though with a narrower focus. 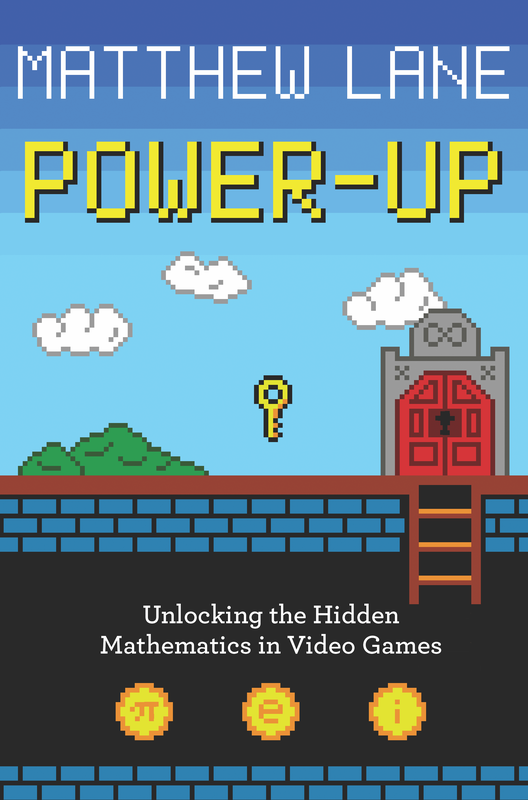 While I've tried to use this space to explore the intersection of math and pop culture in general, the book focuses specifically on the search for interesting mathematics inspired by video games. It's been a labor of love, and part of the reason why my musings over here have dwindled over the past few years. But now that it's out, I'd love for you to read it and let me know what you think! I hope you'll check it out, and if you do, I hope you'll enjoy it. For Blockbuster Movies, Is Winter the New Summer? When I was in high school, I very much wanted <a href="http://www.imdb.com/title/tt0120915/" target="blank">Star Wars Episode I_ to crush <a href="http://www.imdb.com/title/tt0120338/?ref=nvsr1" target="blank">Titanic and become the highest-grossing domestic film of all time. Even though Episode I was, by most acccounts, terrible, I still paid to see it several times in theaters. Alas, my efforts were in vain; the film didn't even come close to toppling Titanic. What a difference a good Star Wars movie makes. It only took 15 days for The Force Awakens to cruise past Titanic's domestic total, and just 20 days for it to surpass Avatar as the highest grossing domestic film of all time. (Though these numbers are not inflation-adjusted; if we adjust for inflation, The Force Awakens has passed Avatar, but not Titanic). Do Extra Innings Games Predict World Series Longevity? Now that baseball season has ended, I find myself going through withdrawal. And with spring training several months away, I need something to fill the void left in my heart. To that end, let's take a moment and look back -- with a mathematical eye, of course -- on the 2015 World Series. Even before Game 1, many pundits predicted that the series would last a full seven games. For example, all 5 members of the CBS Sports staff polled in this article predicted a seven-game series, though they were split on which team would emerge victorious. I'm a sucker for a good card game. Or even a bad card game, if it's played in the company of good friends. Or even a bad card game played in the company of poor friends, as long as the food is decent. Because of this relatively low bar, I've played a variety of card games. And some of these games have sparked interesting mathematical questions. If you've taken a probability course, for instance, you may have explored the intersection of cards and mathematics a bit. Maybe you had to calculate the probability of being dealt a full house in poker, or of busting in a game of blackjack. But mathematics exists even in card games that don't typically come up in math class. And just because a deck of cards doesn't have any numbers on it, that doesn't mean it should be exiled into the realm of the non-mathematical. I would start off by apologizing for the clickbait-y title, but I'd rather not take any of the blame. Instead, I'll use Numberphile as a scapegoat, since one of their most recent videos inspired both the title and the content of this post.